Why Buy at Rodland Toyota? Rodland Toyota has been serving the community of Everett for over 50 years! We are ready to provide you with REAL SERVICE and the Rodland REAL PRICE anytime you visit. Enjoy complimentary services such as battery test, courtesy recall check, car wash with every service and much, much more! 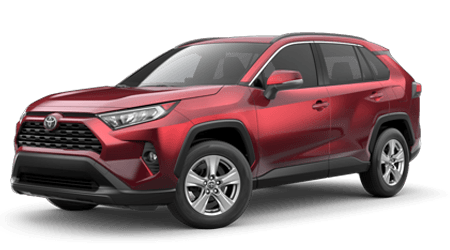 At Rodland Toyota in Everett, we believe that you will want to buy your next vehicle from a dealer that has a proven track record of customer service before, during and after the sale. Every member of our staff is here to serve you, from our experienced, certified sales associates to our Toyota certified service technicians and management staff. We are all committed to this common goal of customer satisfaction. At Rodland Toyota, nothing takes the place of courtesy. Shopping for a new vehicle at Rodland Toyota is designed to take the stress and uncertainty out of buying a car. Whether it's your first time shopping with us, or you're a loyal customer of ours, we aim to provide outstanding service to everyone that walks through our doors. Come experience the difference at Rodland Toyota! The benefits of buying at Rodland Toyota extend beyond a smooth buying process and courteous staff. Purchasing or leasing a new Toyota vehicle from Rodland Toyota has advantages other dealers simply can't match. Toyota has the right vehicle, with the right specifications for you. Toyota is dedicated to ensuring the lifetime cost of a vehicle is kept low through advanced engine technology which extends performance and efficiency across the entire range, and designs vehicles to be easy and fast to service and maintain. High resale value Toyota has a broad market acceptance and a reputation for retaining their value.